When you hear that people want to be the best, have you ever wondered how they were going to achieve it? Some people want to be the best in their career, the best spouse, best parent, or best student. 1. Becoming the best is a team sport. It cannot be achieved alone. 2. Persistence is required to be the best. I’ve found the more I tried to be the best window cleaner doing it all myself, the more I wasn’t able to keep up with everything. With that context, I wanted to share some exciting news about Charity Window Cleaning! There is a new addition to the team that will help the company achieve its vision of being the best in the industry. I am pleased to introduce our Marketing Director, Rebekah Lowe. 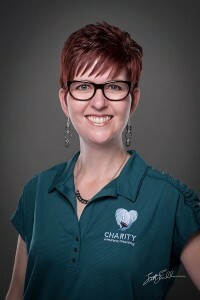 Rebekah came aboard Charity Window Cleaning in October and has made a huge impact already in the organization. She has been and continues to be instrumental in helping us serve more people by getting the word out about our unique window cleaning process. Previously, she has worked with YP Marketing Solutions and spent over 17 years with UPS in a variety of sales and marketing positions. Her experience is extremely valuable in helping us promote our services to new customers as well as taking better care of our clients. One of the things that makes her so valuable is her resilience. She has already fought a battle with cancer and won. Her determination and persistence are such valuable life experiences and she uses those experiences to make sure that your needs are taken care of. When I finally allow her to go home for the day, she loves to spend time with her three kids (ages 18, 12, and 6) and to listen to pop music. In your pursuits, you cannot become the best by yourself. It takes the time and effort of many people. It takes perseverance, experience, and determination to work through the hard times. These are the exact reasons I’m so excited to officially introduce her to you. She has all of these attributes and many more. I know you will give her a warm welcome. 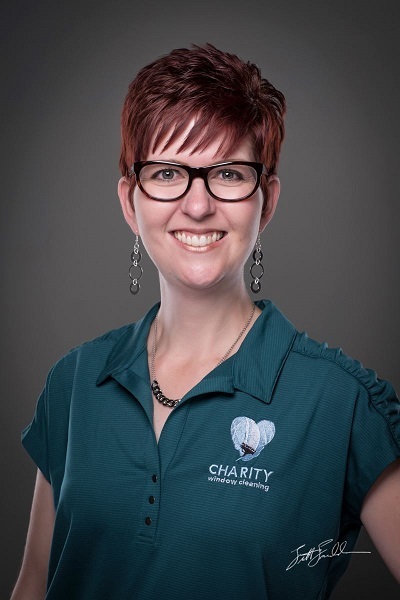 She has some exciting things planned to help take Charity Window Cleaning to new heights. I don’t want to spoil anything, but she’s told me about her plans on how she wants to thank our clients for trusting us and doing business with us. It’s unlike anything we’ve done before and you won’t want to miss it! Keep your eyes peeled for the announcement in the next couple of weeks. Keep moving forward in your individual pursuits of being the best.